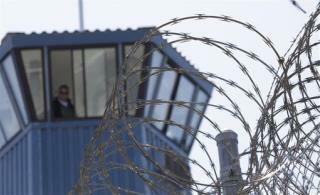 (Newser) – Thousands of inmates will soon be moved out of solitary confinement in California, after years of court battles and hunger strikes against the controversial practice. The state's decision was revealed in a legal settlement filed today—which still must be accepted by the court—with a group of inmates who have been isolated at Pelican Bay State Prison for 10 years or more, the Los Angeles Times reports. The settlement applies to a class-action federal lawsuit covering almost 3,000 inmates, a lawsuit originally filed in 2009 by Todd Ashker and Danny Troxell, two murderers serving sentences in Pelican Bay. California has agreed to stop using solitary confinement as a means of controlling prison gangs; instead, the most dangerous prisoners will be held in a group setting and will have many of the same privileges as other inmates. That much solitary is a slow form of fortune being alone that much does damage to the brain.